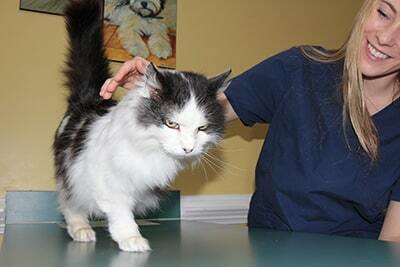 Old Dominion Animal Hospital in Charlottesville has been offering personalized animal health care since 1982. We enjoy getting to know you and your family pets, and we feel that you are part of our family. We believe the special attention we provide at our animal hospital is what makes our veterinary clinic exceptionable. The exceptional care we take to hire the most talented, compassionate animal health care team is expressed every day by how our clients feel about us. Everyone is welcome to join our veterinary family. At Old Dominion Animal Hospital, we truly value the diversity that Charlottesville and the University of Virginia provide and our proud to be a part of this vibrant community. We are eager to meet all your pet’s animal health needs. Whether you just rescued a little kitten or are caring for an aging family pet, we’re ready to assist you. Helping you and your pets live long, happy, healthy lives together is why we practice veterinary medicine at Old Dominion Animal Hospital. We strive to meet your pet’s health care needs every day and thank you for letting us play such an important role in your lives.